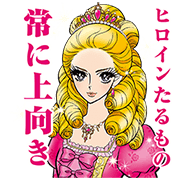 http://www.line-stickers.com/ – Heroine Makeup Original Stickers Line Sticker | Famous eye makeup brand Heroine Makeup brings its fashion prowess to LINE with these “Elizabeth Himeko” stickers! This elegant lady doesn’t disappoint with unique catchphrases that only appear in these stickers! For girls who want to make their peepers pop, this set is the perfect pick! 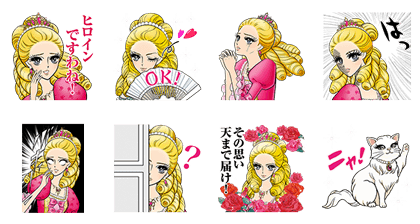 Elizabeth Himeko from Heroine Eye Makeup is powered up and ready for more closeups, in a sticker set that lends itself perfectly to any conversation! Elizabeth Himeko from Heroine Eye Makeup is powered up and ready for more closeups, in a sticker set that lends itself perfectly to any conversation! Available till October 10, 2016.